Somatone Interactive is the #1 provider of audio services and technical support in gaming and interactive media since 2003. Our dedicated staff of sound designers, composers, VO producers, and implementation experts have worked on hundreds of game titles, across the Mobile, PC, Console, Arcade, AR/MR, and VR platforms. Beyond the talent and experience of our creative team, STi has developed our own proprietary asset tracking system, so you can rest assured that all audio requests will be highly organized, delivered on time, and of the upmost quality. The unique combination of creative leadership coupled with water-tight project management is one of the reasons Somatone has become the go-to provider for a long list of Tier-1 publishers. We are a professional, turn-key solution for all your audio needs. Our motto: To raise the experience of millions of gamers with the highest quality game audio in the world – delivered with speed, service and technical savvy – and to have fun doing it! With more than 50 years of collective music experience, our full-time music team brings a combination of advanced music degrees, classical music training, and industry expertise to the creative process. We work with many accomplished composers, performers and instrumentalists. Our music services include recording and producing live musicians, ranging from full orchestras to ensembles and live bands. While great SFX, immersive music and stellar VO performances make up an important part of a great-sounding project, expert implementation and mixing of these assets are vital steps to make everything sound great. Our team has provided complete implementation support on games of all kinds and sizes. 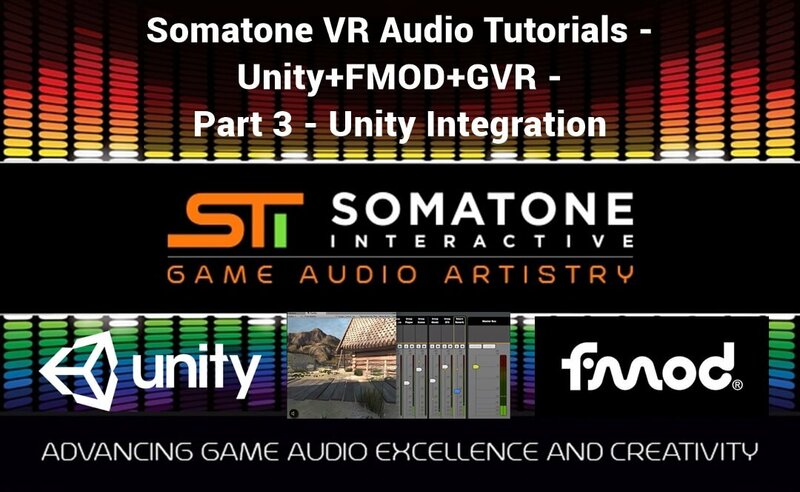 With high-level expertise in Unity, fmod, Wwise, and Unreal, Somatone sound designers oversee the entire audio pipeline, from content design to implementation, mixing, and testing. We create customized original sound to set it apart from others in its class. Our talented sound designers have the experience and creativity to develop unique sound assets for each project, based upon upfront collaborative work with clients and ongoing project management. We draw from a diverse portfolio of union and non-union talent with script-specific auditions, not pre-fab demos, to select voice actors who perfectly fit character roles. We regularly direct live VO sessions in our own recording studios and provide all-inclusive rates on talent and production—including casting, directing, recording, editing, and mastering— making voice production as affordable as possible while adhering to high quality standards. In addition to in-game content, Somatone has a world class linear audio production team experienced in narrative music, Sound Design to picture, Foley, and 5.1 mixing. From short 30-second trailers to hours of in-game cutscene work, we provide top notch audio post production services. Estimating the amount of assets you need for a developing game is difficult. That’s why we’ve created our own proprietary pricing system. Instead of quoting your project on a standard per asset pricing, we offer a flexible alternative that we call Audio Units (AU). AU’s are work credits that can be used for any Somatone service. Similar to how gift cards work, after purchasing an AU package, you can choose how much AU you would like to allocate for each service. This way we can to finalize the audio budget upfront and avoid any confusion or change of scope. We offer custom AU packages for any size project, can invoice in installments, and offer discounts for ordering AU in bulk. Somatone’s technical expertise include industry standard middleware technologies, and beyond. From haptic design services and dolby audio processing, to Wwise, fMod, Unity, Unreal, we understand that content is only as good as the technology which enables it. I'm extremely impressed with Somatone. They deliver very high-quality work in short order and have saved us time and money by reducing the number of iterations in our sound effects pipeline. To top it off, they have been fantastic collaborators, frequently offering us ideas for sonic improvements. Nick and his team at Somatone have done amazing work for us on Vainglory, and make Somatone the go-to shop for game audio. Dale Crowley Creative Director Delivering leading edge game audio with great service and technical savvy. John Hoge Composer "At Somatone, I work on a wide variety of different kinds of games, which presents an interesting creative challenge that I enjoy." Alex Walker Smith Composer "I believe in telling a story through music." to fulfill your audio needs. Fill out the simple form below to receive a confidential project estimate. Voice Over Artists: If you’d like to be a part of our audition pool, please click here. Job Opportunities and Internships: Please click here. We will respond to your inquiry as soon as possible, usually within a few hours. If it’s urgent, please feel free to call us at (707) 704-8497 Thanks!